When it comes to creating effective blogs, many people make the mistake of producing fluff and little else, which readers won’t find engaging and in which they quickly will lose interest. If you have blogs that at most keep people looking for only a few seconds, search engine analytics will make note of the relatively short visitations and conclude that the page is not relevant to the claimed topic. That means higher costs for pay-per-click campaigns and lower rankings on paid and organic searches. 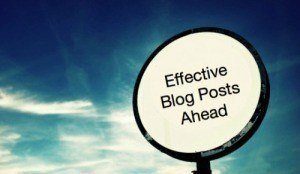 But some simple tips can help you to improve the quality of your blog posts and boost their online effectiveness and SEO value. Research helps to give meat to any blog post that readers can chew on and digest easily. The content must be relevant and compelling and preferably will provide insights or solutions to problems readers might be experience, such as producing relatively ineffective online content. If you readily define your blog’s goal and stick to content relevant to that goal, readers are more likely to understand the nature of the content and have realistic expectations about what they will find. Your website has a reason for existing, and the better defined that reason, the easier it is for people to figure out what kind of information your site provides. Likewise, knowing what kinds of information your site visitors seek will help you to produce more relevant content they will find compelling and keep them on your website for longer periods. That will boost your SEO rankings and improve organic traffic and search engine results while also making your blogging efforts more cost-effective. When you can produce relevant, compelling content, site visitors will stay longer. What methods do you employ when creating your blog posts?